Alara, a princess from a foreign land, is forced to wed the sorcerer-king Aramon, a power-hungry warlord, who discovers her dark secret and wants to use her to create an invincible army. 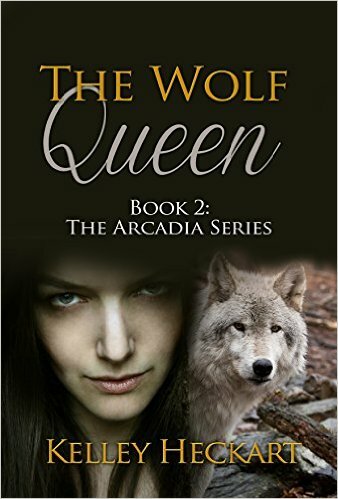 When she meets Lycaon, she must decide if she should trust the cursed, tormented half-man half-wolf who might be her enemy or her true mate. Lycaon, once a great king until he was cursed by Zeus to be a werewolf, is drawn to the mysterious princess. He is torn between helping Alara escape and using her to gain power over those who despise him. Secrets abound and old enemies are reunited to battle Aramon before his terrible plan is unleashed. Time is running out as the dark moon approaches. Soon, Arcadia will be overrun with an unstoppable, vicious army unless Aramon can be defeated. To prevent his victory, the cost is high. As Lycaon’s affection for Alara grows, it becomes more difficult for him to decide which to save: Arcadia or her.